AirTec P100 Grease is a light base oil, polyurea thickened grease that offers great protection for both general and specialized applications. Polyurea grease first found popularity in Japan as many OEMs starting using it as it offers great long-term protection, however, in the past few years, it has also gained popularity in the USA. Why use P100 Poly Grease? Polyurea thickened grease is known for its ability to outperform standard lithium greases, especially, in terms of lifespan. It offers great start-up lubrication at low temperatures while offering great stability at high temperatures. Additionally, it is best in class in terms of shear stability, corrosion protection, oxidative stability, low wear, low volatility, and extremely low oil bleed. 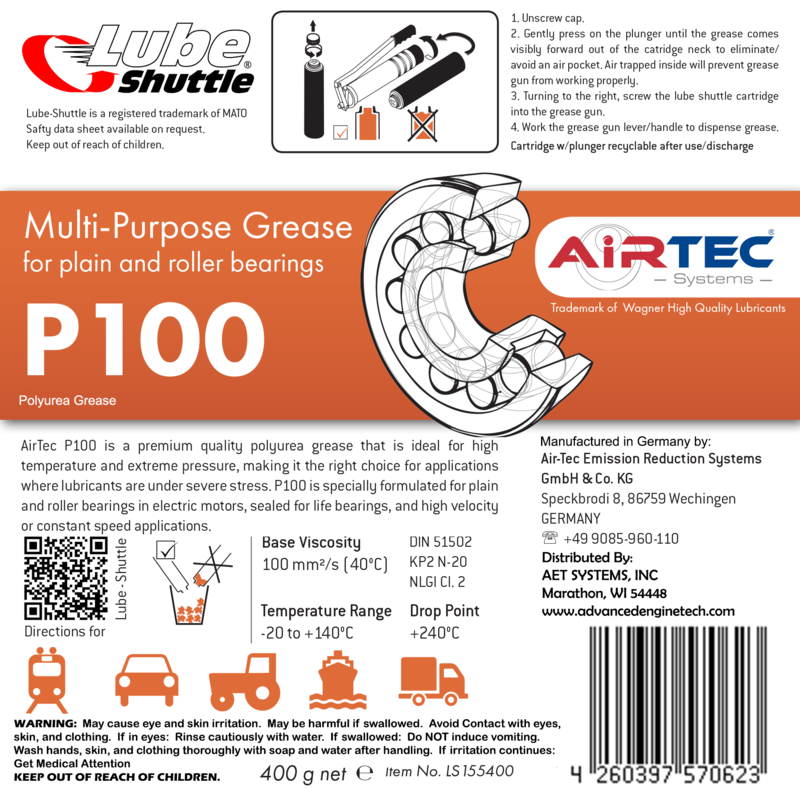 All of these properties make it clear to see why AirTec P100 is a clear choice for sealed for life bearings, wheel bearings, CV joints, and electric motor bearings.